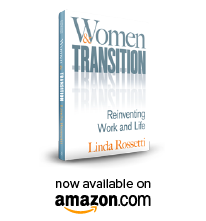 This entry was posted in Our Name and tagged career transition, change, novo femina, novofemina, women's change, women's professional transition, women's transition issues. Bookmark the permalink. Hearing about others’ transitions is reassuring. Knowing what worked for them is even better! Thanks Linda, I have needed this for a long time! This is a brilliant topic and not something we’re well prepared for in our culture. In college it hardly occurred to me that I may have several careers and major interests in my lifetime, let alone situation changes within those areas. I am very happy to follow your journey on NovoFemina! What a wonderful idea! Transitions seem to be a part of my daily life! Thank you Lin for taking the time to create somewhere for women to speak with ease and take the insight of others to help with our own constant changing worlds. All my best. Go NovoFemina!